United States president-elect Donald Trump is destroying American power in Asia, and China is quickly moving in to take advantage. Whether it’s trade agreements that will be cancelled or climate change accords that will be challenged. The running narrative is that Beijing is already or will soon be the main beneficiary of the just-concluded US election. If only matters in China were so simple. But they’re not. To start with, making foreign policy of any sort in China is never easy. Whether it be bilateral economic agreements or arms sales, multiparty treaties or memorandums of understanding, Chinese officials understand what all too many analysts abroad seem to neglect: China is one huge bureaucracy where good ideas often go to die. There are statements, slogans, admonitions, promises, warnings—and these are all important indicators of what the political consensus is in Beijing at a given moment. But for all of China’s purported economic progress in extending its financial and infrastructure reach overseas, getting foreign policy actually made remains glacially slow at best. There are a few reasons for that sluggishness. One is that there’s a divide in China between institutions and bureaus about who’s responsible for making foreign policy. Privately, Chinese officials sputter about the lack of cooperation and coordination—even communication—between departments and agencies in the central government here. Chinese scholars who have a say in advising on policy initiatives scoff at the idea that Beijing has a global strategy. Even under Chinese president Xi Jinping as The Great Centralizer where policymaking is concerned, there’s been little more than the “China Dream” as a catch-all phrase for what Beijing is supposed to be aiming at overseas. Xi’s overseas visits always get high-profile media coverage (as is currently the case) and perhaps deservedly so for domestic reasons at least. But even much of that coverage remains confined to smiles-styles-and-profiles, with a decided absence of unified policy substance that would enable analysts and advisers alike here and abroad to state with certainty what Chinese foreign policy actually represents. National security for the realm only, or a more robust mission abroad? Extension of territory to encompass various South China Sea island chains? “One Belt, One Road”? Confrontation with independence forces in Taiwan and (possibly) Hong Kong, without regard for regional backlash? All of the above, or just some—and if so, which ones? Beijing can bluster all it wants, condemning purported foes and foreign forces at its daily press conferences; more than a few Chinese officials understand that they need to be careful about trying to punch above their weight, that some of their challenges might just be the byproduct of their own overreaching. Then there’s the military here—which is anything but a monolithic institution in China to start with, and whose doctrine, operations and command structure are being remade. The older generation of officers was largely rich and fairly happy, until Xi came along and started smashing their rice bowls. Some aren’t displeased with his anticorruption drive but worry about what sort of power China should be. The younger cohort that’s started to make its mark—and largely see Xi as their savior—isn’t nearly so quiescent and have demanded (and received) a set of seats at the foreign policymaking table. Military policy is under review and is the result of many voices. The impact of the armed forces on China’s foreign policy isn’t any different. What mileage the military will have in making diplomacy will vary. Another factor to consider are local governments here in China, which have been playing a more active role in foreign policy for some time. Many provinces have been quick to conclude memorandums of agreement with their overseas counterparts (especially on investment and the environment) and then negotiate with Beijing about details after much of the deal is in place. Chinese Foreign Ministry officials complain about that tendency but admit that a growing number of policies are made locally and only authorized by Beijing afterwards. (Those same officials acknowledge that China doesn’t have an overarching strategy, but a set of disparate foreign policies, which rarely cohere, aren’t always coherent, and didn’t emerge in a coordinated fashion anyway.) There will be provinces that see the disappearance of the policies of the Obama administration to be a terrible thing, and a Trump presidency nothing to look forward to. And yet every time Trump speaks and Washington stumbles, we’re told by some commentators that it’s Beijing who benefits—apparently because Chinese leaders know what they’re doing, even if the American electorate didn’t. But there’s precious little evidence to suggest that the Chinese leadership sees matters that way, or that there’s even a consensus that Trump’s election is going to help China’s interests at home and abroad. If there’s a sense of triumphalism in Beijing, then the State-directed media in China isn’t showing much sign of that to the officials and citizens it’s designed to communicate with. It should be. The fact that we don’t have a major editorial or commentary about the impact of the US presidential election now 2 weeks after its conclusion is telling: Chinese leaders are still wondering what it all means for China. How do you take advantage when you don’t even know there is an advantage? 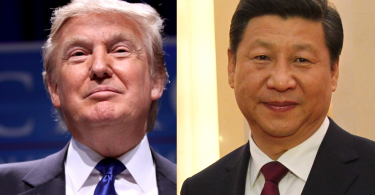 It’s entirely possible that the sort of foreign policy that ends up emerging from a Trump administration will end up doing enormous damage to Sino-American ties, regional and strategic security architecture, and the image of the United States overseas. But these are early days, and given the nature of Chinese foreign policymaking, uncertainty and indecisiveness might combine to allow both countries time to figure out for the first time in a while just what they want from each other and how to achieve it. That would be a good thing. Until then, some calm contemplation—and a moratorium on quick conclusions--is probably called for. Wha! This is prominent full blog i like this sort blog. Respectfully this online journal have this quality gigantic cost, changes, thank for sharing this site.